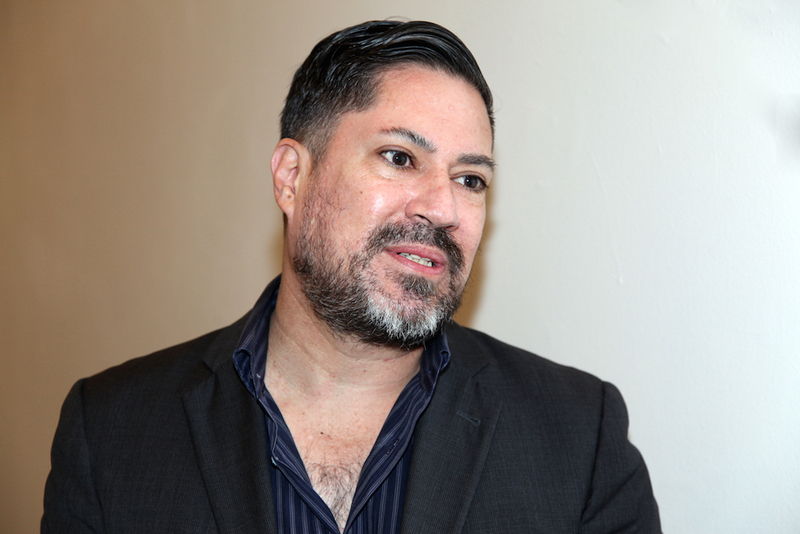 Dennis Romero is a veteran reporter at L.A. Weekly who previously worked at the Los Angeles Times, Ciudad magazine, and the Philadelphia Inquirer. He’s covered everything from surfing to gang culture. Before taking part in a Zócalo/Getty “Open Art” event on saving L.A.’s past, Romero talked about sandwiches, his connection to the Sawtelle neighborhood, and the worst freeway in L.A.
You’ve written a lot about electronic dance music (EDM). Which EDM artist do you listen to the most? Probably a DJ duo: Chus & Ceballos. I like their sound. It has a kind of a Latin tinge to it, tribal, progressive, not too cheesy, which is what a lot of EDM is today. Probably my dad. He was a journalist, too. He’d bring home some great stories. What is the strangest crime story you’ve encountered in Los Angeles? There’ve been so many. I covered Richard Ramirez, the “Night Stalker.” I went back and interviewed people involved with catching him. That, for me, was very creepy and personal. I grew up afraid of him. I lived in a yellow house by the freeway. He was supposedly attacking yellow houses by the freeway. Probably a kind of a BLT. What’s your favorite spot in Los Angeles? Probably Sawtelle in West L.A. I have a lot of history there—I like to eat there and my friends used to DJ there in the ’90s. Probably the 10. Between downtown and the Westside is never good. How do you react when you are embarrassed? What do you think is the most beautiful film ever made? I like Chinatown. I never took it literally. It’s a loose ripped-from-the-headlines movie. I also like Michael Mann movies for the way that L.A. looks in them.